Why Order From US Pin? Your custom pins will be of Exceptional Value and Quality at the Lowest cost. Ordering custom lapel pins is much easier then most people imagine! Here you will be treated with respect and fairness so you can be confident of your decision. By utilizing the most modern machinery, the finest raw materials and our highly skilled craftspeople, you can rest assured of pins to take pride in for a lifetime. Don’t pay more! Get a quick quote and great quantity discounts! Unlike other companies, we will make as many as YOU want. There is no minimum. 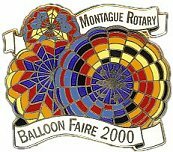 Once the initial emblem is made and approved, our techniques of reproduction allow multiple copies both quickly and inexpensively. Our 1 inch pins with clutches start at only $1 each with substantial discounts offered at specific quantities. Whether you need one or one million, we have the capability and commitment to handle any size order with utmost care and attention to details – all at Factory Direct pricing! * Quality pins are viewed as prized collectibles of high perceived value. * Many organizations, clubs, and individuals have discovered US Pin to be their prime source for custom pins and metal emblem logo products. * Our success is not by first time orders, but through the many satisfied, loyal customers that return year after year! The lowest prices anywhere – Painstaking attention to detail – The finest quality products! Your satisfaction is our most sincere desire. Your pins will be the absolute finest! Fundraising – Events – Incentives – Awards – Advertising – Promotion – Awareness – Pride – Trading – Collecting – Gift Giving for Personal, Business & Organizations, Clubs & Teams of Logos, Autos, People & Pets to Retail, Wholesale or Distribute! We can make pins of just about anything! * At 300 quantity, the die charge is waived so you pay only for the pins you get -not the die mold that is kept at the factory. 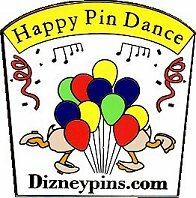 Place a reorder of your custom pins for up to 2 years from the previous order at no die charge. 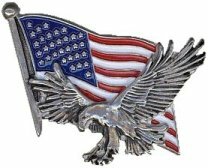 Producing over 2,500,000 custom pins since our start in 1988, US Pin is a leader in the custom metal emblem products market. Read some of our many testimonials and later please add your own comments. There is no need to waste your precious time searching the net because you will not find a better deal anywhere! Get started now by placing your custom pin order here to experience the “best” for less! Besides custom lapel pins, US Pin can produce your design as keyrings, earrings, pendants, charms, cufflinks, money clips and more! Let us know the custom metal emblem products of interest. The “Best of America” on Custom Lapel Pins! Your timely response (and honesty) make it easy to recommend U.S. Pin. Even better than I had hoped. There must be twice as much detail as my last pins.